Vietnam Da Lat hotels. - Hotel videos, user reviews, cheap booking! Showing 1 - 10 of 93 best hotels. | Sorted by rating. Sleep in Dalat Hostel is about 1 km from Da Lat Market and 1.3 km from Xuan Huong Lake. It offers complimentary Wi-Fi access and free public parking. Zen Cafe Dalat - Villa has a dining area in a lovely outdoor garden where guests can enjoy their breakfast. The homestay features modern rooms with a patio offering garden views and free Wi-Fi. 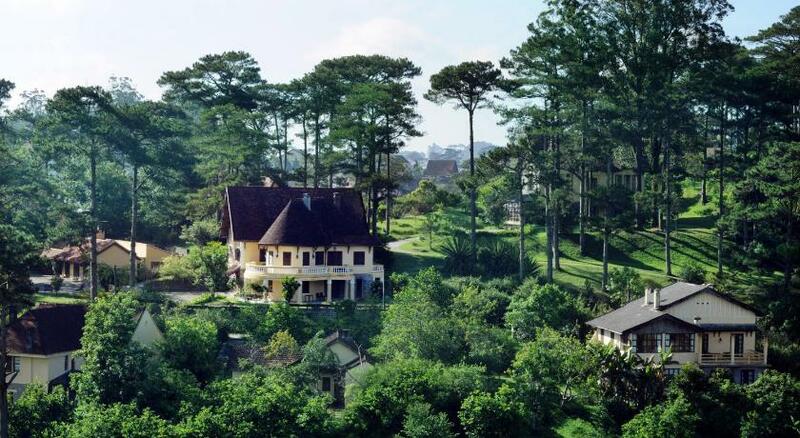 This 5-star resort offers 7 original French colonial villas ideally nestled on the slopes of Dalat city’s rural highlands. It offers extensive spa facilities and a variety of dining options. Offering free Wi-Fi access throughout the property, Tulip 2 Hotel features comfortable accommodation situated within 200 metres from Da Lat Market and Ho Xuan Huong Lake. Offering views stretching across forests and lakes, Dalat Edensee Lake Resort & Spa provides luxurious 5-star accommodation with free Wi-Fi and a private hot tub. Tulip Hotel is located in the city centre just a 5-minute walk from Xuan Huong Lake and 2 km from Da Lat bus station. It provides comfortable rooms with en suite bathroom and a minibar. 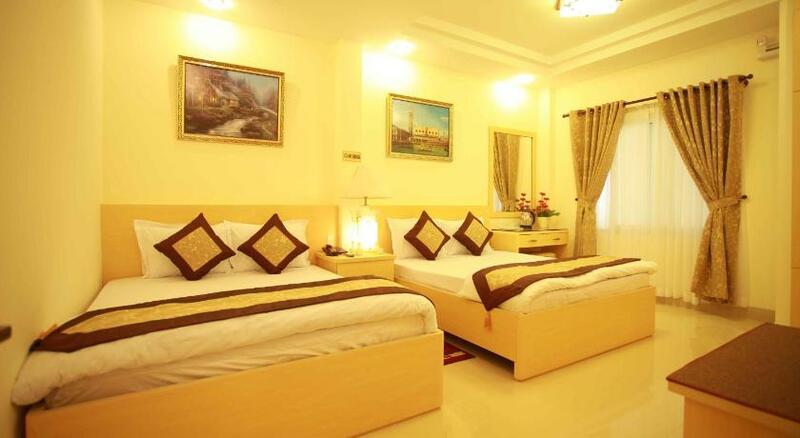 Fortune Dai Loi Hotel is located in central Da Lat, a 10-minute walk from Xuan Huong Lake. With modern Vietnamese designs, it offers massage services. Motorbikes are available for rent. Housed in a refurbished building from the 1930’s, Dalat Hotel Du Parc is a charming hotel just a short drive from Da Lat Market. Boasting its own golf course, it offers rooms with free Wi-Fi. 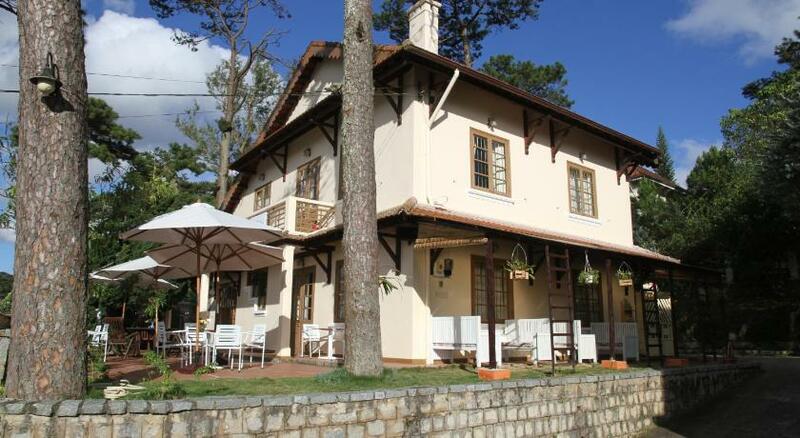 Dalat Terrasse Des Roses Villa offers elegant rooms with free Wi-Fi in Da Lat. Featuring a garden filled with flowers and a stream, the villa has a 24-hour front desk and its own restaurant. Dalat Palace Hotel is located in the of heart Dalat, 330 yards from Bao Dai Palace. Set in a private park, the hotel features a restaurant, spa and free Wi-Fi.